Australian companies have a veritable smorgasbord of location options when it comes to business process outsourcing. Two Asia-Pacific locations – Fiji and Malaysia – are emerging as customer service hotspots and alternatives to larger, more established markets. We examine the value proposition of each country. The BPO industry in Fiji is still in its infancy however momentum is growing, as new market entrants raise awareness and success stories emerge. 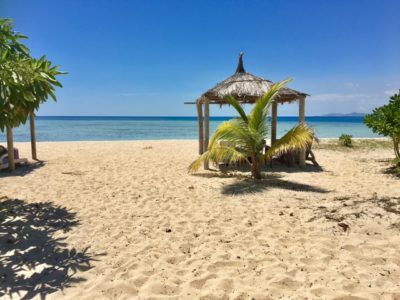 Fiji is a long way off the size & scope of traditional, large-scale locations such as India & the Philippines, however it is seen by many as offering a differentiating combination of low cost and excellent customer experience. Niche products, complex transactions & high customer touch point businesses can benefit significantly from Fiji’s renowned warm, friendly workforce and “old school” service ethic. The BPO industry in Malaysia has carved itself a unique slice of the industry within the Asia-Pacific region. The broad availability of quality linguists gives Malaysia a competitive edge. With a cost-effective & tech-savvy workforce, Malaysia can cater to numerous Asian languages under the one roof. Many agents are bilingual, including Japanese, Korean, Cantonese, Mandarin, Thai, Vietnamese, Indo & Malay Bahasa and English language combinations. Other locations can offer some of these languages but not many can cover all of them, which is often the need of businesses wishing to do business with the whole region. Friendly people, warm service ethic, great neutral accent, and a positive reaction when people learn where their call has landed. Nearshore location – 2-3 hours’ flight from Australia/New Zealand. Easy for clients to visit their teams regularly to keep engagement. Cost model that is 50% cheaper than the Australian market; no weekend or night shift premiums enable longer operating hours to increase selling and servicing capacity. Great availability of quality Asian linguists with very capable English as well. The Malaysian BPO market is not saturated so there is not the huge competition for employees driving high attrition, which plague other markets. Fiji is in the vicinity of 15-20% cheaper than Malaysia for an English-language solution. The Fijians have proven themselves time and again to be highly effective in a customer service environment. The Fijians by their very nature are warm, caring, hospitable people with a smile in their demeanour. This translates exceptionally well to high customer touch points and environments where care, understanding and empathy are required. Fijians are also very good at using their charm to disarm a sales situation and convert bookings and/or leads using their good sense of humour. Asian linguistic skills are a large part of the appeal of the Malaysian workforce, as is their readiness to learn.